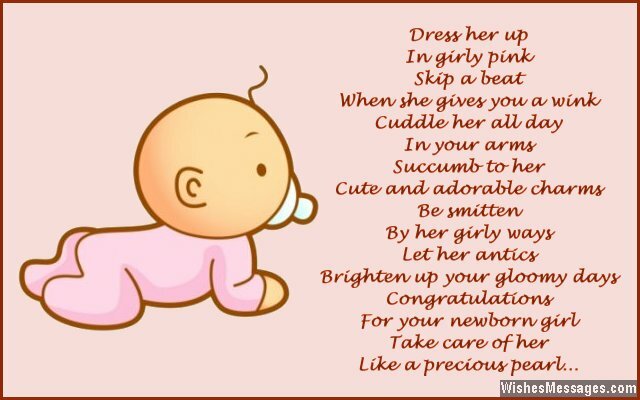 Congratulations for baby girl: Writing a beautiful poem on a sweet greeting card is a befitting way to mark the arrival of a delightful newborn – a daughter who will go on to spread smiles wherever she goes. Mash up the cutest words and the funniest of quotes to come up with your own original rhyme that melts the hearts of everyone who reads it. 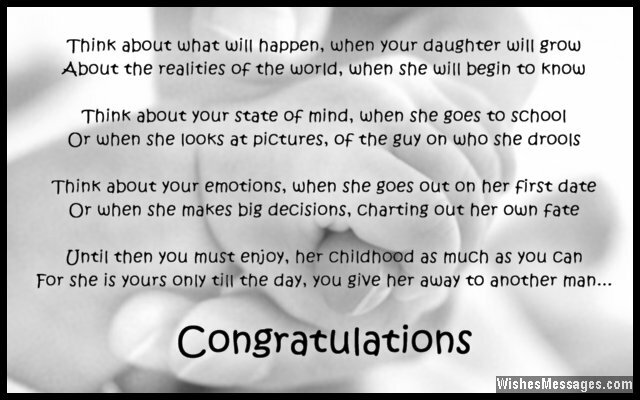 You can even use it in a speech you make while raising a toast to the new parents. 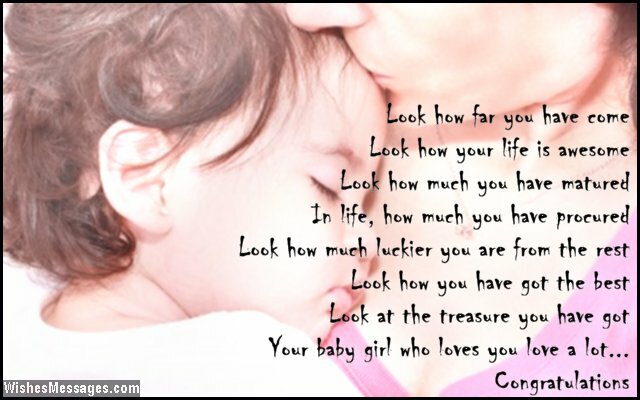 Becoming a mother and a father to a baby girl is a magical moment – make sure your wishes are worthy of this precious memory.